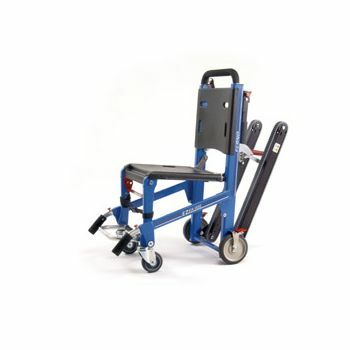 The EZ Glide® Evacuation Stair Chair glides patient loads up to 500 lbs. 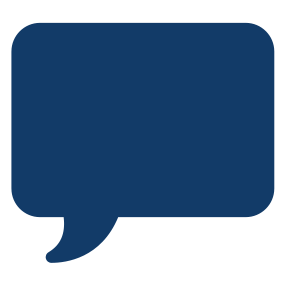 down stairs without carrying or lifting. 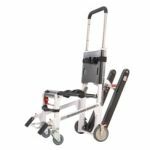 Ferno’s industry leading one inch track-to-ground clearance and front swivel-wheels provide superior maneuverability over carpet and in confined spaces such as stair landings. 1" Track-to-Ground Clearance --- provides easier maneuverability over all surfaces, even with tracks deployed. 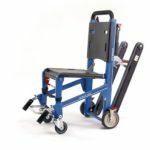 Extending Footrest --- and lower track angle increase patient sense of security. 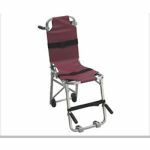 All Metal Frame Construction --- provides strength, long service life, and exceptional performance with heavy patients. 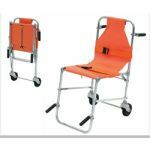 Removable ABS Panels --- provides easy cleaning and disinfecting of the chair. 5 Position Lift Bar and Handles (OPTIONAL) --- reduce the strain of lifting and provide maximum control for operators of various heights.